The first thing to do is roast the salmon. Preheat the oven to 350F and sprinkle it with salt, onion powder, garlic powder, and dill. 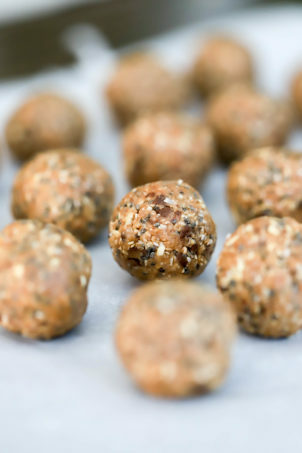 I love this combination of dried spices and use them on EVERYTHING. Not gross on roasted potatoes either. The salmon gets roasted for 25 minutes or so until it’s cooked through, then it comes out of the oven to rest. 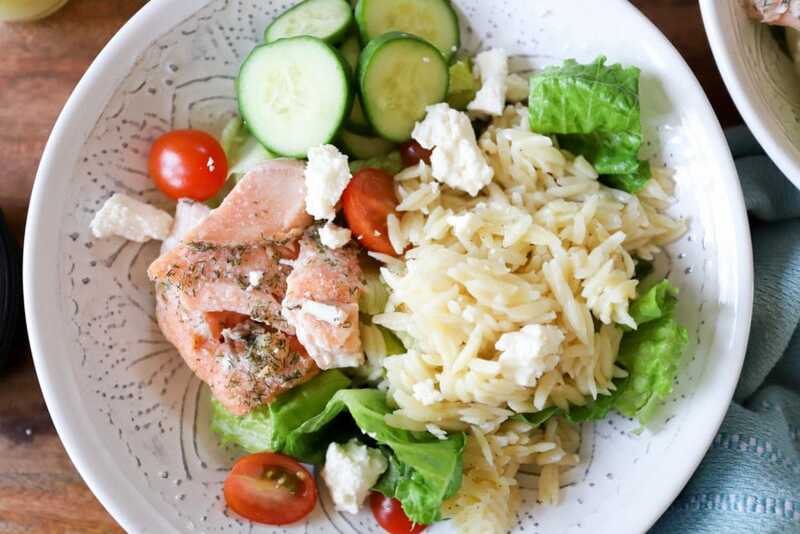 While the salmon is cooking, boil some orzo, then toss it with salt, pepper, and olive oil so it doesn’t get too clumpy. 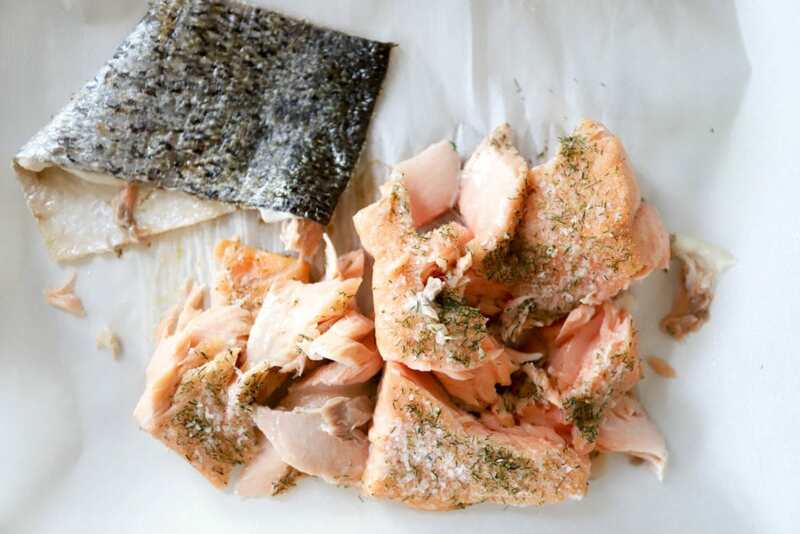 When the salmon is cool enough to handle, take off the skin and break the fish into large chunks, then set it aside. 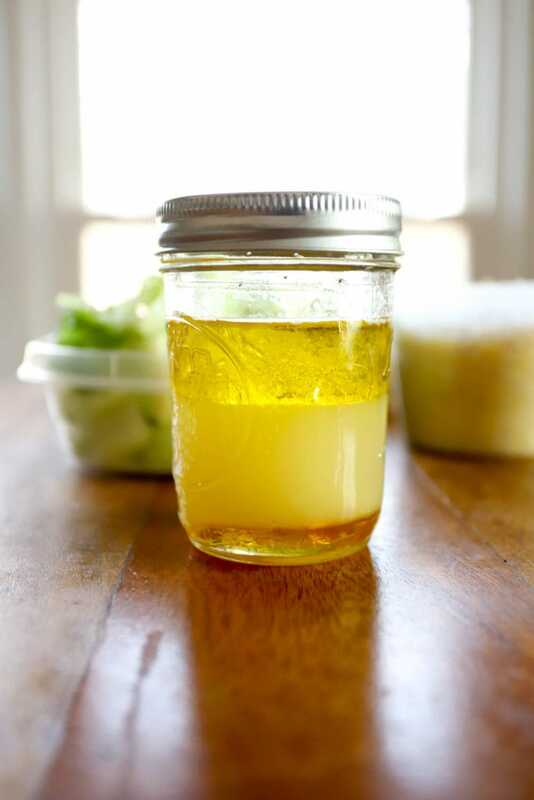 The dressing is super simple – lemon juice, lime juice, olive oil, honey, and salt and pepper. I shake it up in a jar so it doesn’t spill when I transport it, and it lasts forever in the fridge. Now, the rest of the work is just prepping any ingredients you’d like for the salad. 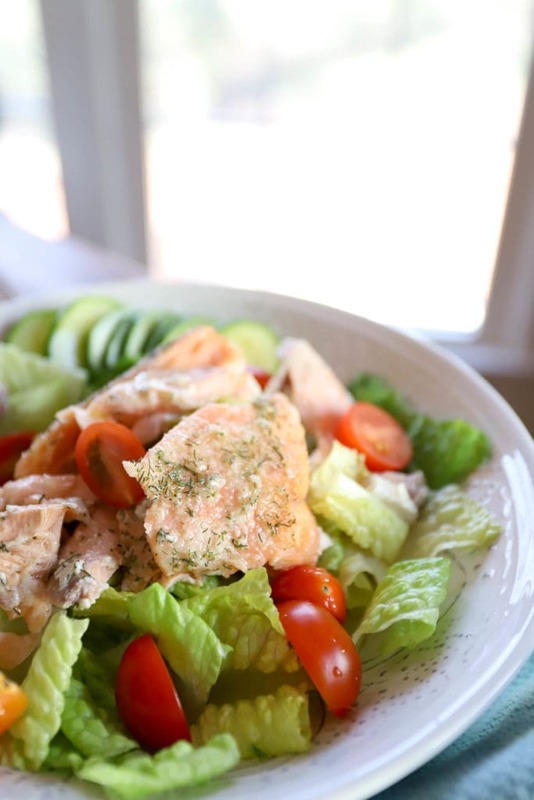 I went with super crunchy romaine, tomatoes, cucumbers, feta, and the salmon and orzo. 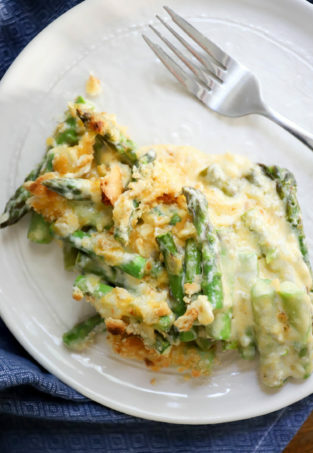 You could add any other veggies you want, though, or swap out the cheese, even add some nuts or croutons. And that’s it! 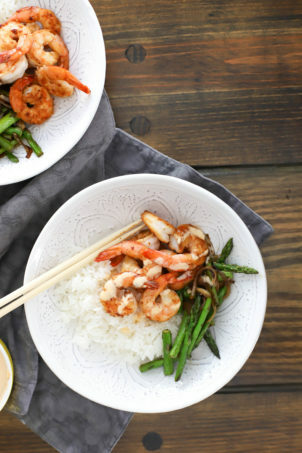 You can store everything separately, or have this for lunch on the day you make it an enjoy the leftovers, which is what we did. Jay ate his low carb. 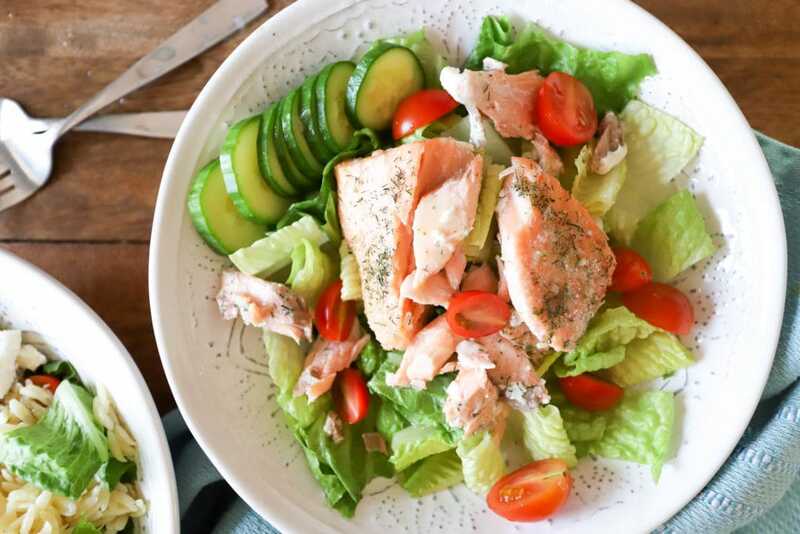 I seriously adore this, whether hot or cold, and find that the dill + feta + citrus flavors work so well with the salmon and crunchy veggies. 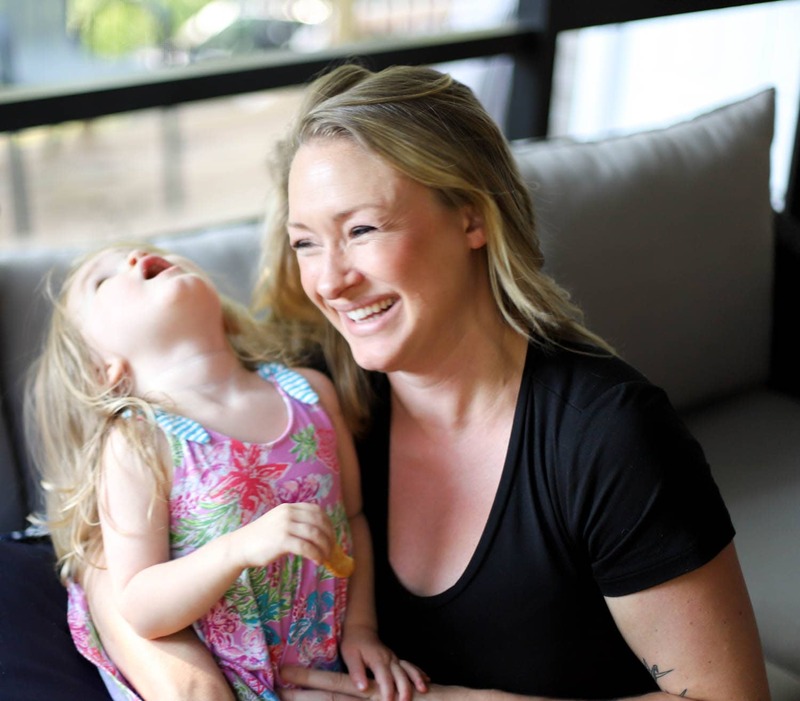 I definitely hope you don’t know anyone who plans to break their leg any time soon, but highly recommend making this asap for someone who needs a little food love. Enjoy! Preheat the oven to 350F. 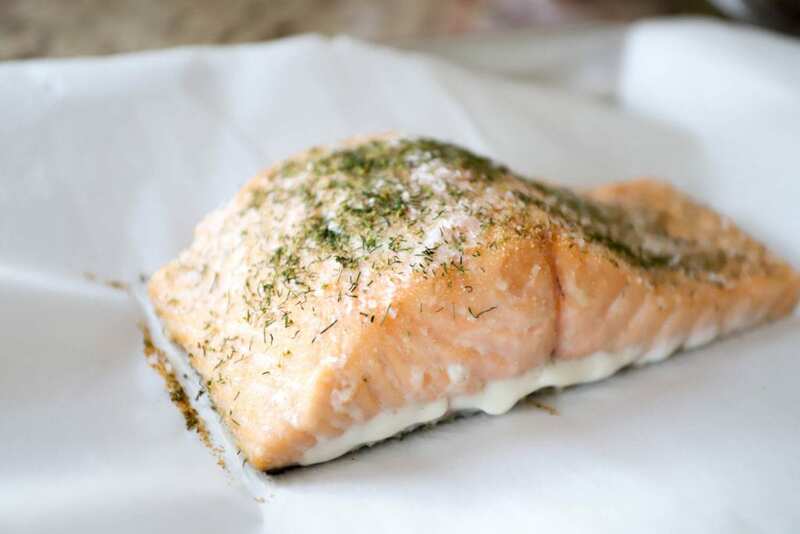 Place the salmon on a baking sheet and sprinkle with the salt, onion powder, garlic powder, and dill. 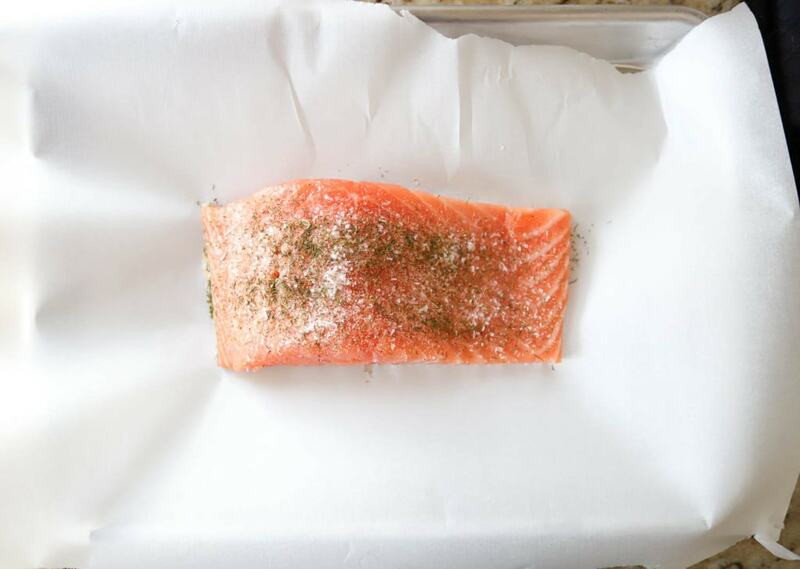 Roast the salmon for 25 minutes, then remove from the oven to cool slightly. 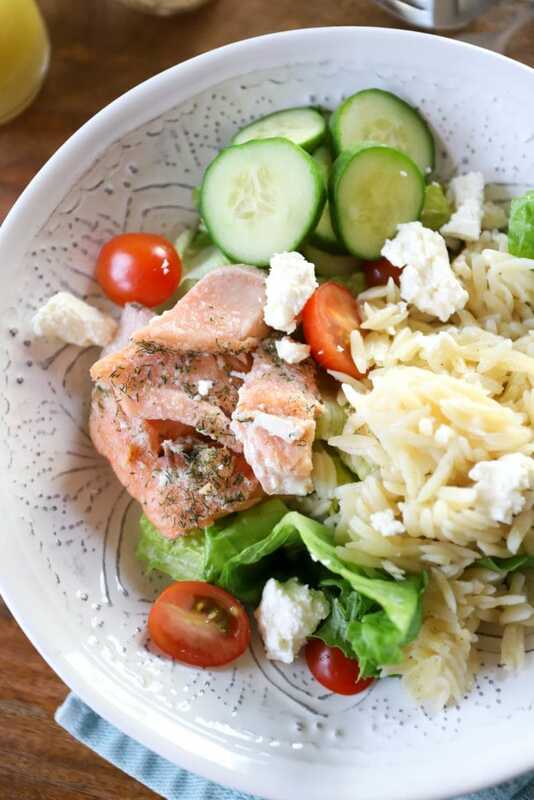 While the salmon cools, toss the cooked orzo with a few drizzles of olive oil and some salt and pepper. Taste, and add more salt and pepper until the orzo is very flavorful. Make the dressing. 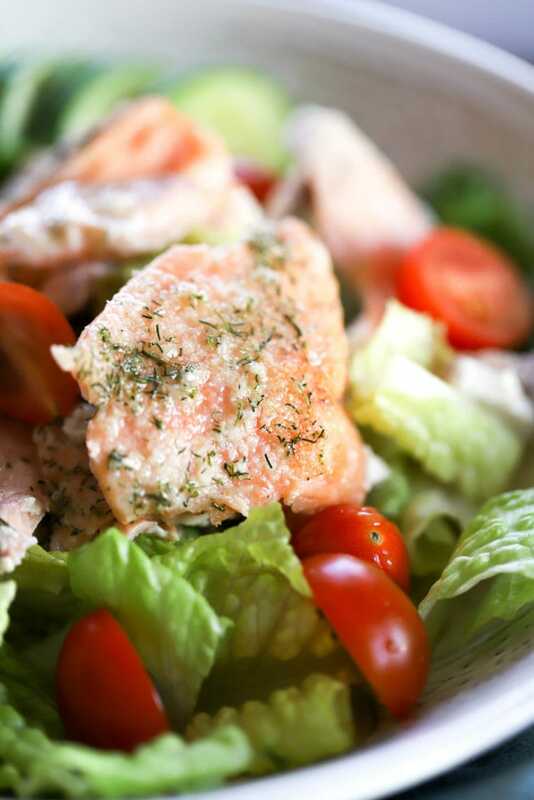 Whisk all dressing ingredients together and taste; add more salt and pepper to your preference. 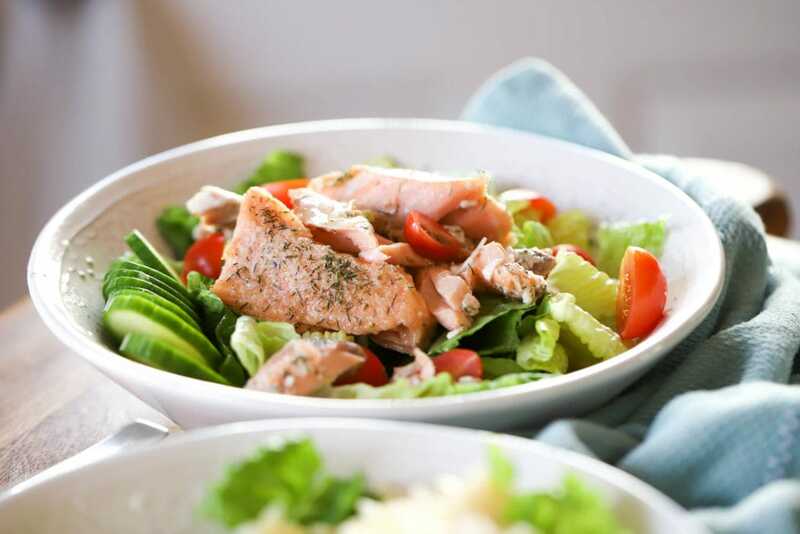 When the salmon has cooled, remove the skin and cut into large chunks. 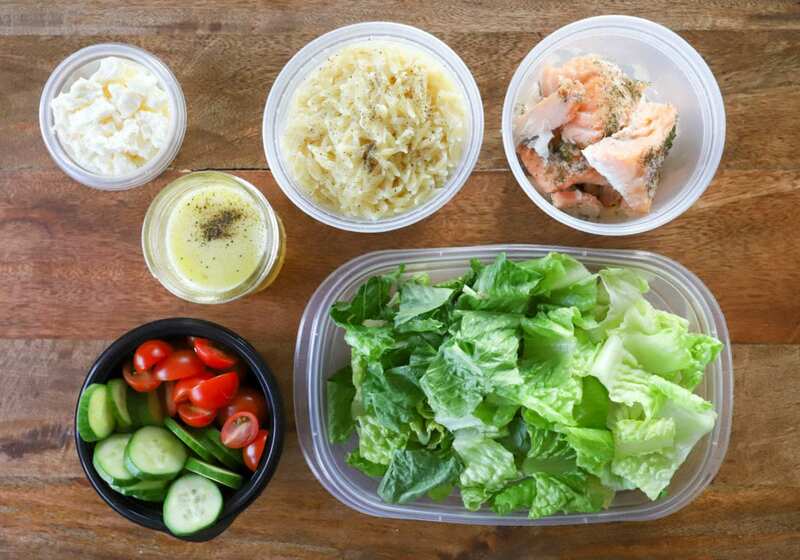 To go: Package the salmon, orzo, dressing, veggies, and cheese in separate plastic containers and bags. 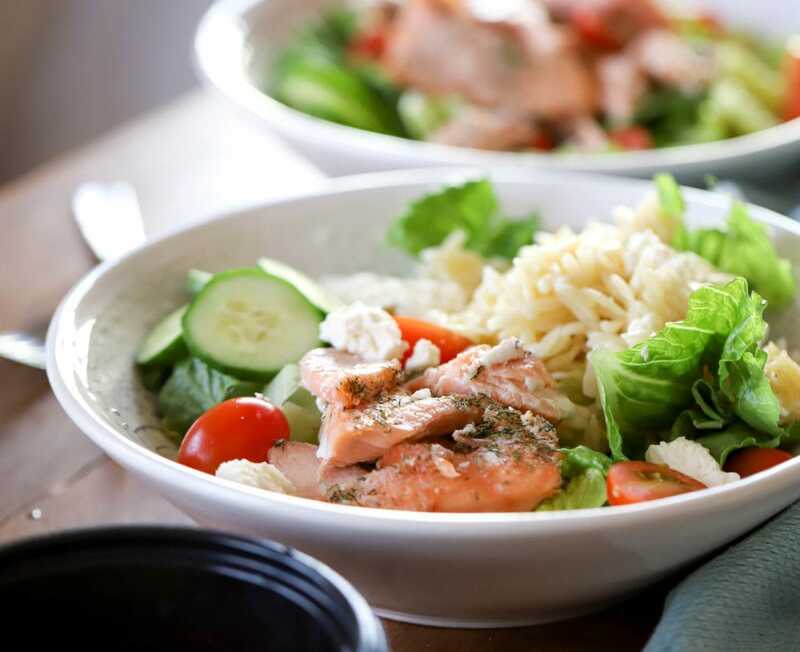 To serve: assemble salads with a bed of lettuce, some orzo and salmon, and veggies and feta. Drizzle with the dressing and serve. I like to package this with a few extras as a gift: some dessert, a loaf of bread, bottle of wine, etc. 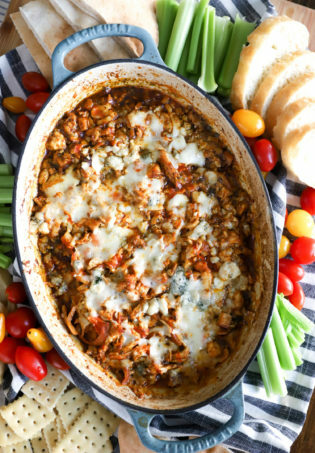 It’s a great gift or a make-ahead meal to make on a Sunday and eat throughout the week!